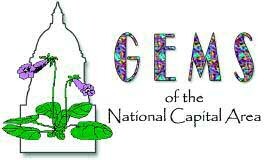 From June 30th to July 4th, the National Capital Area Chapter was the host of the 53rd annual convention of The Gesneriad Society in Silver Spring, Maryland – probably the largest convention in the Society’s history. The location of the Hilton Silver Spring made it a great starting point via the Metro for trips into Washington, DC to see the many gems of the capital city of the United States. The hotel was also the site of the Society’s largest flower show, with a record-breaking 350 entries. The convention trip on Thursday to two of the area’s horticultural gems — the U.S. Botanic Garden and the U.S. National Arboretum – was a great success. The Botanic Garden had a number of gesneriads on display in the conservatory, and the two outside gardens were a great place to wander for a short while. The highlight of the Arboretum was the National Bonsai and Penjing Museum where many specimens seen on display were gifts from the Nippon Bonsai Association of Japan to the United States in 1976. The convention attendees had the opportunity to attend four lectures: “Chirita” (Peter Shalit), “Petrocosmea” (Tim Tuttle), “Sinningia” (Mauro Peixoto) and “Pollinators and Floral Evolution in Caribbean Gesneriads” (Silvana Martén-Rodríguez). John R. Clark also gave a presentation on the new Gesneriad Research Center and the Society’s efforts toward gesneriad conservation. The Gesneriad Hybridizers Association meeting was highlighted not only by hybridizing news from Dale Martens, but also by the traditional GHA raffle. The substantial offerings in the plant sales room gave attendees the opportunity to buy whatever their hearts’ desired – the selection of plants was truly encyclopedic. The silent and live auctions – always an exciting part of any convention – gave attendees two bidding chances and successfully raised money for the Elvin McDonald Research Endowment fund. Take a look at the photos of blue-ribbon exhibits from the flower show and of convention activities!